Meet Beth, Andrea and Camille! I’m so pleased to have these hilarious ladies from the Family Looking Up Podcast on our show today. Their podcast is my favorite to listen to! I hope you’ll head over and subscribe to them as well. Today we’re talking about the highs and lows in motherhood. They have some great stories and fabulous advice. Have you guys ever tuned into the Mom Conference? It’s a free conference with amazing presenters. I’ve listened to it for several years now and I love it. It always inspires me to be a better mom. This year I contributed a 3 Week Dinner Plan to the bundle they sell, so I’ve very happy to be part of that. Click the image to get registered for the free classes! 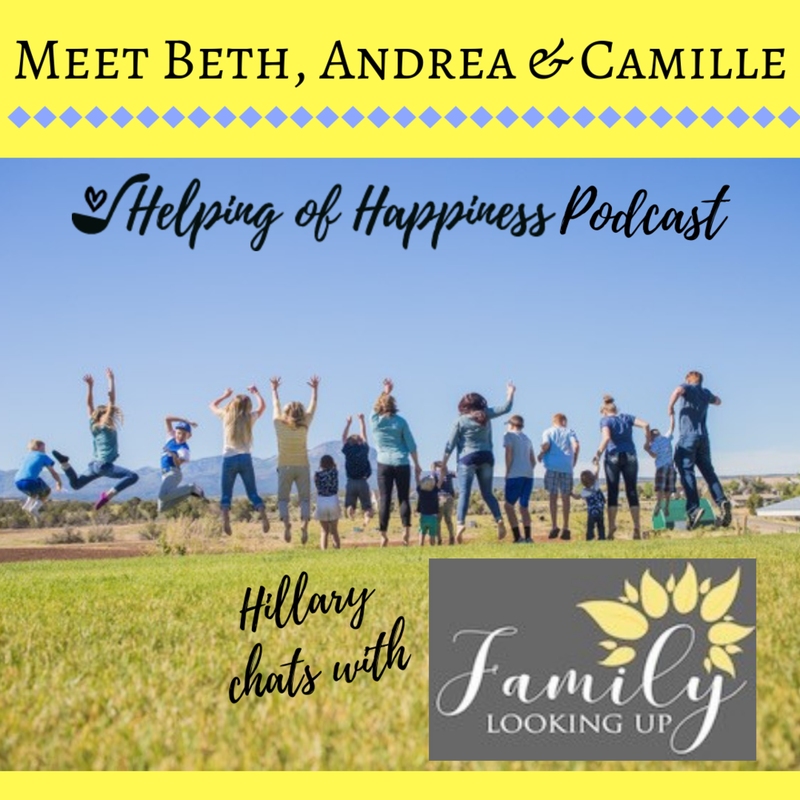 We talked a little bit about their episode with Melisa Moore about Getting Your Kids to Sleep. And when you sign up for their newsletter you will receive the fun little sleep tickets they talked about on the show. They also mentioned Ralphie Jacobs and her great tips on how to Stay Cool When You Feel Triggered. Such a great one. I really need to work on this! !